­­­Together with Savi and Bankay, three-time Grammy winner Cedella Marley has given rise to a new version of ‘Could You Be Loved’, her father Bob Marley’s classic song. Cedella Marley’s portion of this single’s proceeds will benefit WHOA, Women Helping Others Achieve, a women’s empowerment program in partnership with the Bob Marley Foundation & Sandals Foundation. Cedella Marley’s fresh rendition of ‘Could You Be Loved’ is a modern take on one of her father’s most loved songs. The dance version pays homage to its Jamaican roots while adding its own flavor of grooves and dance music elements to the mix, all the while serving as the campaign song for Women Helping Others Achieve. Women Helping Others Achieve is a women’s empowerment program designed to provide support, mentorship, education and skills training to help marginalized women across Jamaica and the Caribbean find inspiration and strength to transform their lives and, in doing so, positively impact their families and communities for generations to come. The Sandals Foundation, the non-profit arm of Sandals Resorts International, has partnered with The Bob Marley Foundation to support WHOA and Cedella Marley serves as the program’s ambassador. 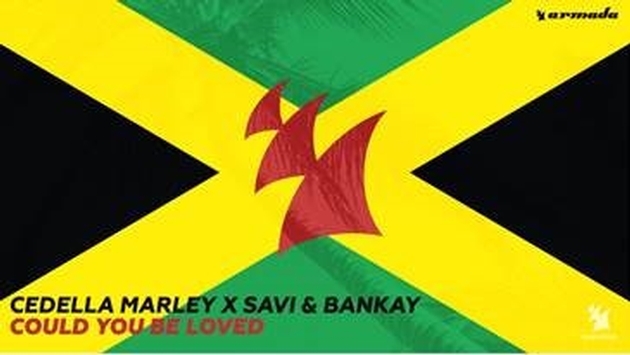 Upcoming Electronic Music star Savi, who recently collaborated with NERVO on radio smash ‘Forever Or Nothing’, met DJ, producer and long-time Reggae enthusiast Bankay in the summer of 2014 when they played together at one of Bankay’s shows in Jamaica. When the opportunity arose to work with Cedella Marley, they both jumped at the chance and went all out to breathe new life into ‘Could You Be Loved’. SOURCE: A Sandals Resorts press release.